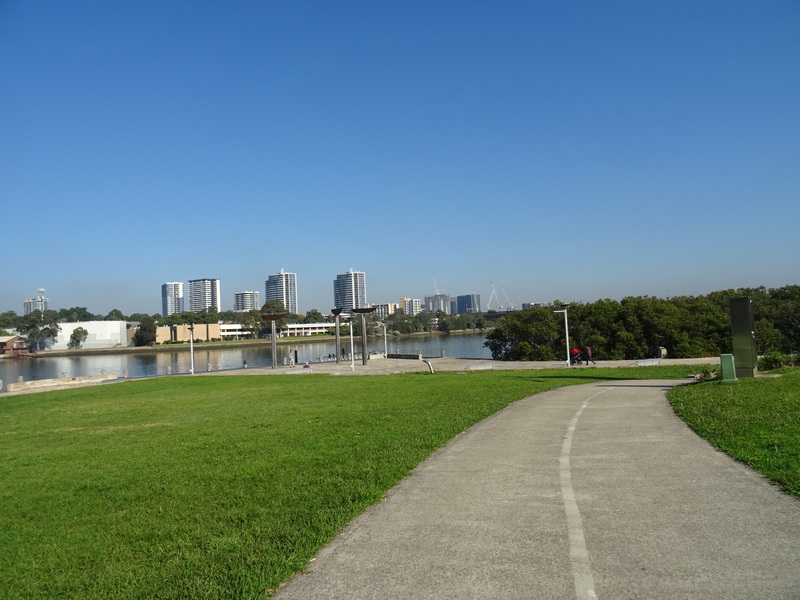 I wanted to compare the quickest commute trail from Olympic park area to the Anzac bridge. So I rode from Rozelle to Rhodes via Lillyfield Rd then back down the north side of the river to see which side of the river was better. The result is Rhodes to Rozelle (Anzac Bridge ramp) north or south is exactly the same distance -15km. The north side is hillier but with an eBike, this matters little. The north side has less road riding with cars wizzing by but has some challenging sections like the footpaths of Victoria Rd and the council roads in Drummoyne. The south side from Rhodes has some longer stretches of roads with cars wizzing by and has less hills. You do have to ride on busier roads including Lilyfield Rd which is a rat run in the afternoon but less so in the morning. So I give south side a slight win from Rhodes and North side a win from Meadowbank. If it was me riding, I would do south side in the morning and north side in the afternoon because the north side finishes with a lovely stretch along the river from Putney. Here are the photos from the south side through Concord.